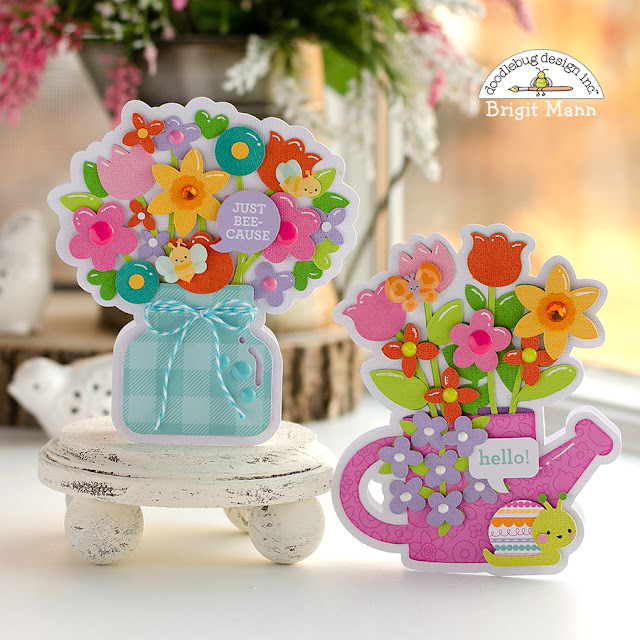 I had so much fun putting these shaped cards together using the new Simply Spring paper collection and cut files. 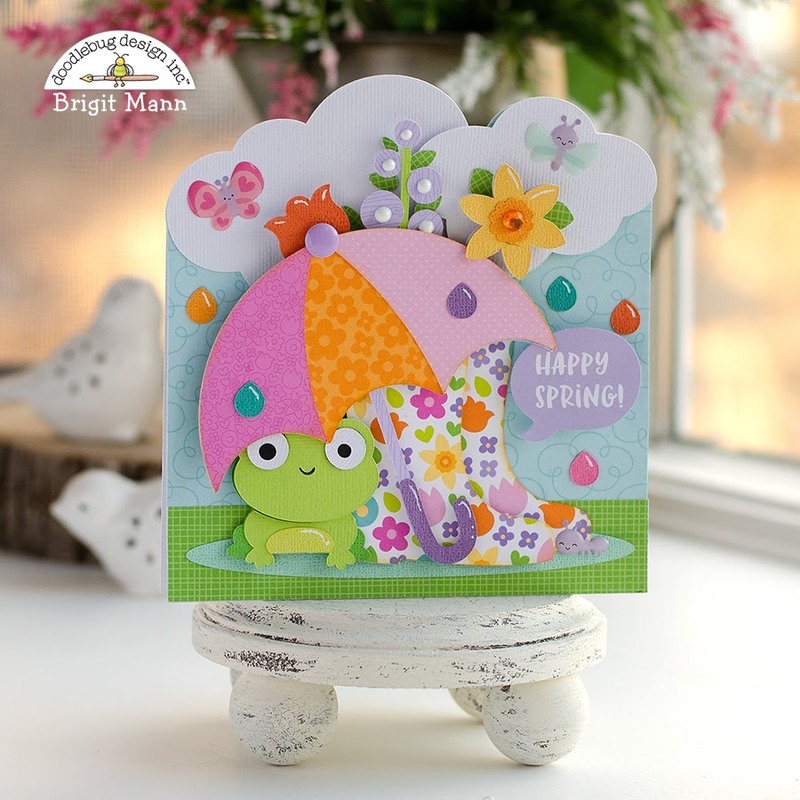 Love all the colorful flowers, adorable little insects and pretty papers! The cut files come in svg format sold at Lori Whitlock's online store and studio format at the Silhouette Design Store. For all the cards I used the svg files, laying out my design in silhouette studio business addition so I can save it as an svg to import into cricut design space to cut out on my cricut maker. I created an offset of the whole design this is the base of my shaped card. Sometimes I will mirror up the offset and nudge it down and weld to create the whole card but for very uneven tops I just duplicate the shape and score about a 1/2" down from the top and glue it to the other base piece. 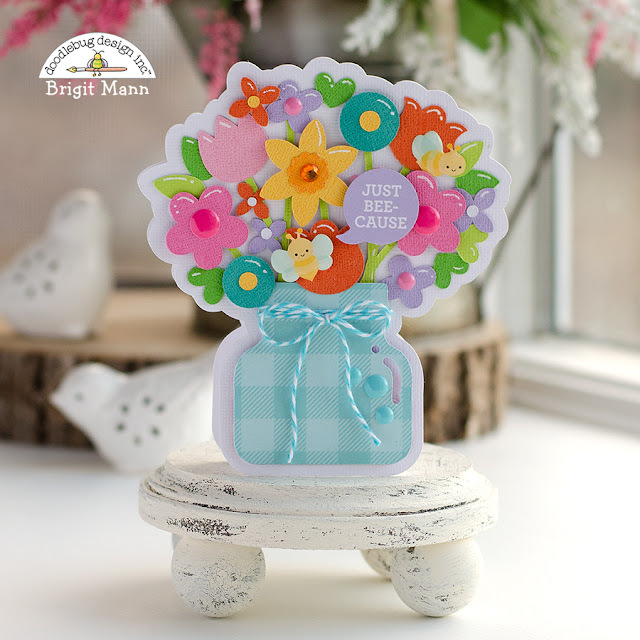 I think this is my favorite, I love this bouquet in jar cut file. Doodlebug's colorful textured cardstock and the pretty plaid paper from simply spring 12 x 12 pack really makes this card pop! I love this one too, instead of the lavender flowers going up I reversed them to flow down the can and added a couple more flowers to fill in the empty space. Thud! 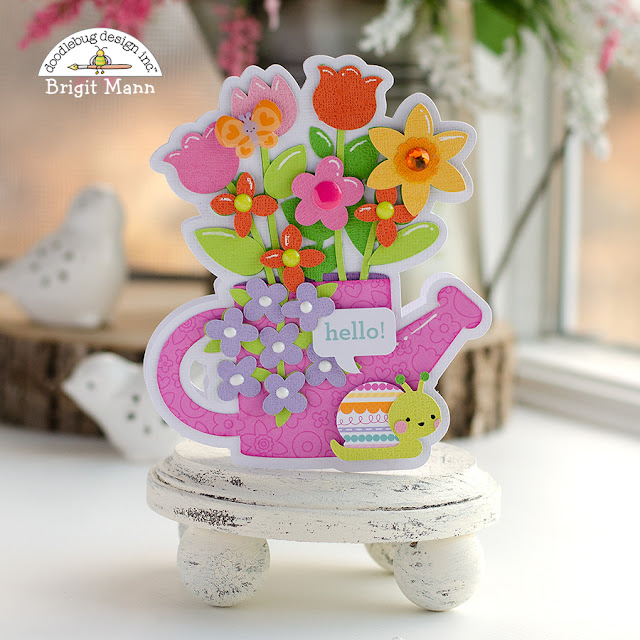 Just fell off my chair because these cards are ADORABLE! Thanks so much!! I use the silhouette business edition to create the offset and than save as an svg and import it into design space. Not sure why cricut hasn't added that feature to design space yet, all other software has it.